Hawaii is a paradise I can't leave, join me? Living here in Hawaii is the best thing imaginable. Will you join me in paradise? Does jamesinewa belong in this group? Aloha Beach Lovers Looking to find a connection in Hawaii. I love the sun, sand and surf. Been in Hawaii many years and consider it home. If you are looking for a bright, intelligent, and fun lady...send me a note. Does hulagirl001 belong in this group? Born and raised. I was born and raised in Hawaii, Maui to be exact, so it has always just been home for me. Does eightoheight belong in this group? I'm of Hawaiian descent, it runs in my vines. I'm of Hawaiian descent, it runs in my vines. I'm a local brother from Kalihi. 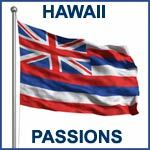 born and raised here in our city Honolulu. love my Hawaiian women.just looking for companion in this tropical weather to share the aloha with and maybe a few other stuff. love eating, lifting weights, listening to music, hanging out where ever comfortable. well i let any message me and i'll tell more. Does haynguy1 belong in this group? Does hawaiiangoddess belong in this group? Does jas808 belong in this group? Does sailorman83 belong in this group? Maui is where my Heart Is Wash to be close to my 2 new beautiful grand kids and get back to the sea. Does jansail belong in this group?